We walked out of the hiring meeting frustrated-again. Of the ten candidates we reviewed that day, none would receive offers. Were we being too harsh, we wondered? I, in particular, was disappointed. We had rejected one of my candidates. A former student. One I had referred. He had a 3.73 GPA from the University of Washington, one of the best computer science schools in the world, and had done extensive work on open-source projects. He was energetic. He was creative. He was sharp. He worked hard. He was a true geek in all the best ways. But I had to agree with the rest of the committee: the data wasn't there. Even if my emphatic recommenda­ tion could sway them to reconsider, he would surely get rejected in the later stages of the hiring process. There were just too many red flags. Although he was quite intelligent, he struggled to solve the interview problems. Most successful candi­ dates could fly through the rst question, which was a twist on a well-known problem, but he had trouble developing an algorithm. When he came up with one, he failed to consider solutions that optimized for other scenarios. Finally, when he began coding, he flew through the code with an initial solution, but it was riddled with mistakes that he failed to catch. Though he wasn't the worst candidate we'd seen by any measure, he was far from meeting the "bar:' Rejected. When he asked for feedback over the phone a couple of weeks later, I struggled with what to tell him. Be smarter? No, I knew he was brilliant. Be a better coder? No, his skills were on par with some of the best I'd seen. Like many motivated candidates, he had prepared extensively. He had read K&R's classic C book, and he'd reviewed CLRS' famous algorithms textbook. He could describe in detail the myriad of ways of balancing a tree, and he could do things in C that no sane programmer should ever want to do. I had to tell him the unfortunate truth: those books aren't enough. 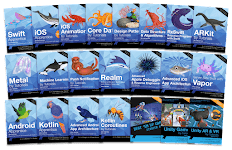 Academic books prepare you for fancy research, and they will probably make you a better software engineer, but they're not su cient for inter­ views. Why? I'll give you a hint: Your interviewers haven't seen red-black trees since they were in school either. To crack the coding interview, you need to prepare with real interview questions. You must practice on real problems and learn their patterns. It's about developing a fresh algorithm, not memorizing existing problems. Cracking the Coding Interview is the result of my rst-hand experience interviewing at top companies and later coaching candidates through these interviews. It is the result of hundreds of conversations with candi­ dates. It is the result of the thousands of questions contributed by candidates and interviewers. And it's the result of seeing so many interview questions from so many rms. Enclosed in this book are 189 of the best interview questions, selected from thousands of potential problems. 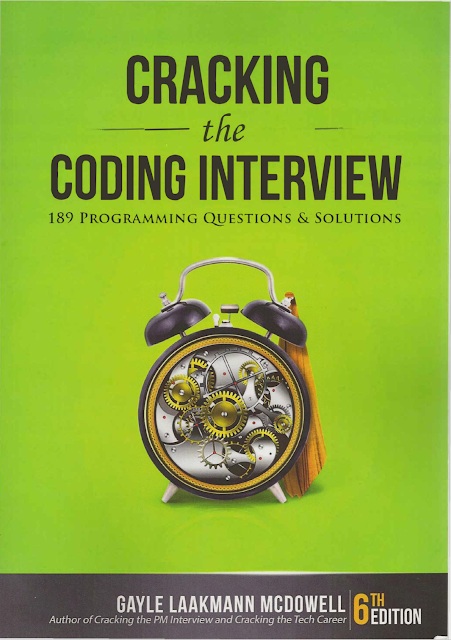 The focus of Cracking the Coding Interview is algorithm, coding, and design questions. Why? Because while you can and will be asked behavioral questions, the answers will be as varied as your resume. Like­ wise, while many rms will ask so-called "trivia" questions (e.g., "What is a virtual function? "), the skills devel­ oped through practicing these questions are limited to very speci c bits of knowledge. The book will briefly touch on some of these questions to show you what they're like, but I have chosen to allocate space to areas where there's more to learn. Teaching is my passion. I love helping people understand new concepts and giving them tools to help them excel in their passions. My rst of cial experience teaching was in college at the University of Pennsylvania, when I became a teaching assistant for an undergraduate computer science course during my second year. I went on to TA r several other courses, and I eventually launched my own computer science course there, focused on hands-on skills. As an engineer at Google, training and mentoring new engineers were some of the things I enjoyed most. I even used my"20% time"to teach two computer science courses at the University of Washington. Now, years later, I continue to teach computer science concepts, but this time with the goal of preparing engineers at startups for their acquisition interviews. I've seen their mistakes and struggles, and I've devel­ oped techniques and strategies to help them combat those very issues. Cracking the Co ng Interview, Cracking the PM Interview, Cracking the Tech Career, and CareerCup reflect my passion for teaching. Even now, you can often nd me "hanging out"at CareerCup.com, helping users who stop by r assistance.